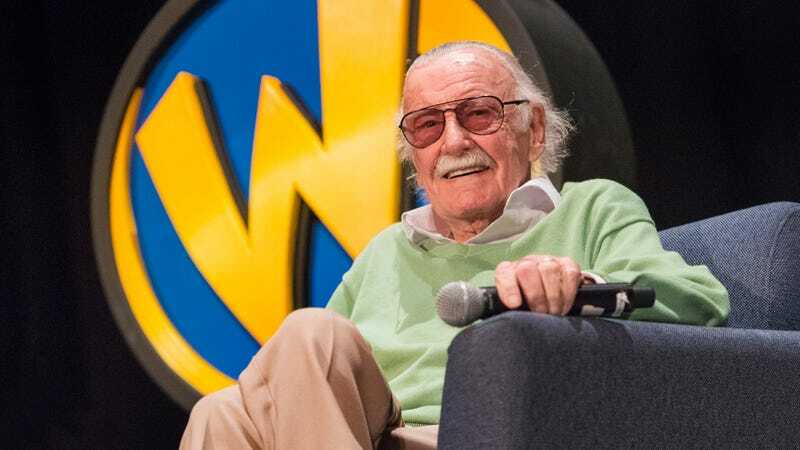 The controversy surrounding the treatment of comics legend Stan Lee continues to get even weirder and darker this week, with Deadline reporting that the former Marvel Comics frontman is now suing his former manager for, among other things, allegedly stealing his blood as part of a money-making scheme. We reported a bit on the gruesomely vampiric aspect of Lee’s current predicament earlier this week, when accusations against former manager Jerardo Olivarez began to come to light, but Lee has now taken apparent legal action against his former employee, suing him for fraud and elder abuse. It’s not precisely clear who, exactly, is bringing these charges on Lee’s behalf; the 95-year-old is listed as the sole plaintiff in the suit, but there’s reportedly a whole web of people surrounding him right now with their own motives, aggressively pointing fingers at each other as to who’s actually been mistreating him. It’s not immediately obvious whether this lawsuit represents Lee taking some measure of control back over his situation, or if this is just another turn in an increasingly unpleasant tale.